I felt a breath of spring in a single cherry tree such as Miharutaki Sakura in the Abukuma Sakura Corridor, and my heart trembles in the cherry blossoms which strongly nestle in the earthquake disaster area, nostalgia in the cherry blossoms snow of Goshogawara, a place related to Dazai Osamu. The last time I visited Tohoku Sakura Road was Hirosaki Park. 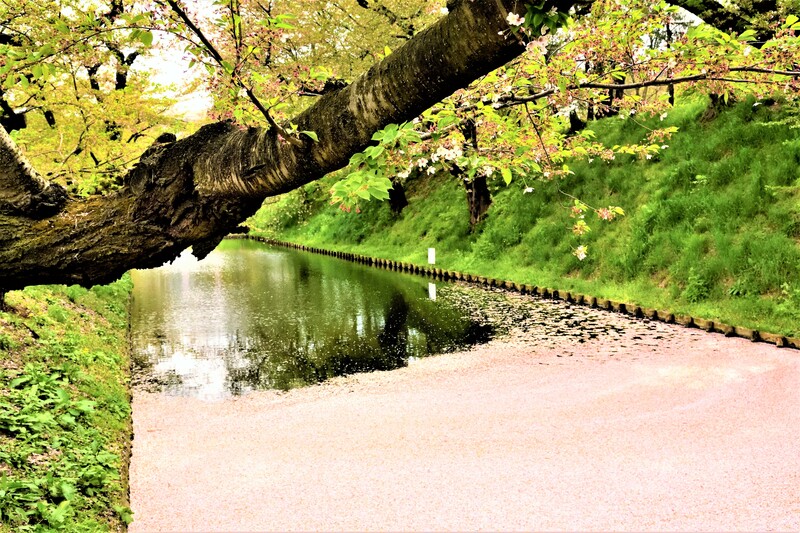 In Hirosaki Park, about 2,600 cherry trees (about 50 types) are planted, and the scenery is also called the best in Japan, and it is a spot that is listed as a famous spot of the three major cherry trees in Japan. The Sakura Festival, held there, is also very popular, with more than 2 million people visiting from all over the country each year. The maintenance of the cherry blossoms in Hirosaki Park applies the original pruning technology that has been cultivated for many years as a production center for apples. By being thoroughly managed, the life of the tree is extended, and it shows me a beautiful figure forever. By the end of April I visited, the cherry blossoms were almost scattered, but even if the cherry blossoms in Hirosaki Park were scattered, the scenery was still beautiful. Hirosaki, Aomori Prefecture, famous for its cherry blossoms. Hirosaki Park, where about 2,600 cherry trees bloom, including Somei Yoshino, is crowded with lots of people who visit cherry blossoms every spring. Since last year, on the Medium moat between Ninomaru and Sannomaru, you can enjoy boat trips with a guide by a boatman from the "Japanese boat" known for going down the river in Fukuoka and Yanagawa. From the Japanese boat at Medium moat, you can enjoy the elegant moments of the magnificent Tatsumi Oar and the red handrail. We were able to enjoy the scenery from an angle not usually seen with tourists from all over the world and from the world. The “Yanakawa odan melody” sung by a distinctive boatman resonates with the chopsticks of Hirosaki Castle and adds to the mood. Next year there is also a story that Boatman will be trained and steered in Hirosaki. I am delighted that the traditional culture of Kyushu Yanagawa will take root in Hirosaki, Tohoku. 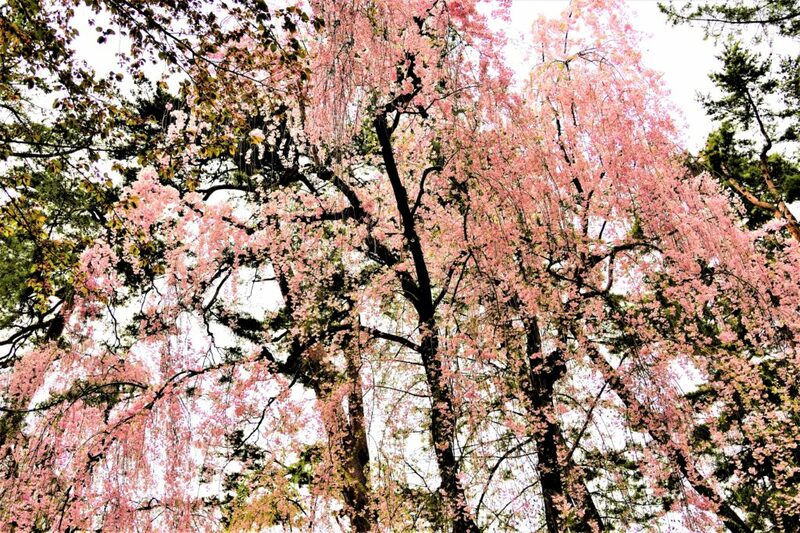 The Hirosaki cherry blossoms are known not only for their full bloom season, but also for their splashing season. When the cherry blossoms are over, from the cherry blossom trees carrying Hirosaki Castle, countless petals fall in the spring breeze. The petals that fall like rain fall on the outskirts of Hirosaki Castle, and they are displayed as if a vast outpost was covered with cherry-colored carpets. It is also referred to as "Sakura Tatami," and it is also called "Hanaikada (Cherry carpet)" in which the petals falling on the water surface of the mantle are pushed by the spring breeze and flow. It attracts another beauty. Tourists from all over the world come to see this wonderful view called "Hanaikada". A duck floats in the sea of cherry blossoms. The beautiful scenery of “Hanaikada” was chosen as "The superb view you want to go to before passing away. Hirosaki Park is located a 15 minute bus ride west of JR Hirosaki Station by the Dotemachi Loop Bus. Get off at Shiyakusho-mae bus stop.